The first module for the future USS Illinois, the 13th member of the Virginia class, arrives at Electric Boat in Groton by barge from EB’s Quonset Point facility Tuesday, June 18, 2013. Groton — For the first time in a decade, Electric Boat is simultaneously working on two submarines in its main building shed. The first module for the future USS Illinois, the 13th member of the Virginia class, arrived by barge from EB’s Quonset Point facility Tuesday. It was placed next to the North Dakota, the 11th of the class. Two submarines have not been side by side in Building 260 since 2003, when EB was building the USS Jimmy Carter and the USS Virginia, the first of the class. “This is our first step to ramping up in Groton to two boats a year,” said Todd Beardsley, the ship’s manager at EB for the Illinois (SSN 786). The first module for the follow-on submarine at EB normally arrives after its predecessor is put into the water for the first time. The “float off” for the North Dakota (SSN 784) will not happen until September or October. That submarine is on track for the fastest delivery of the class yet. “Everything keeps getting earlier and earlier, so we’re ready to go to two boats a year,” Beardsley added. The Navy began buying two submarines per year in 2011 but the Groton waterfront is where the final assembly and testing of submarines is done, so it is not projected to have a steady workload until 2015. EB is under contract to build the 11th through the 18th ships of the class, with Newport News Shipbuilding in Virginia. About 600 people in Groton and Quonset Point are working on the Illinois. Next year, once all four modules are in Groton, nearly 1,000 people will be working in the yard on the submarine. The arrival of the first module, in this case, the forward half of the engine room, is a milestone, Beardsley said, because major work on the submarine can now begin in Groton. The next task is to attach the reactor compartment to the 50-foot-long cylindrical module, he said. Cmdr. Jess Porter, the submarine’s commanding officer, arrived in Groton on Monday to begin assembling the crew. The first group, about 35 people, will spend the next few weeks in school in Schenectady, N.Y., learning how to operate the propulsion plant, Porter said. Porter said being in command of a new Virginia-class submarine is “a phenomenal opportunity” because the culture for the ship is set in the early stages of construction. “That culture, in large measure, goes a long way toward building that ship to a viable and powerful platform,” he said. First Lady Michelle Obama was named sponsor for the submarine last year. Construction on the Illinois began in March 2011. The submarine is contracted to be delivered to the Navy in 66 months, on Aug. 31, 2016. Beardsley said his goal is to finish earlier in 2016 and to beat whatever record the North Dakota sets when it is delivered in early 2014. Porter, 46, who is from Pocatello, Idaho, took the USS Missouri through the delivery and commissioning process as that submarine’s executive officer. He spent 12 years as an enlisted nuclear electrician’s mate in the surface fleet before being commissioned as an officer and joining the submarine force. He served on the USS Michigan and the USS Connecticut. The shipyard is a challenging environment, Porter said, but the crew will come away from it knowing “that ship inside and out.” Porter and Beardsley met for the first time on Wednesday so Porter could see the hull section. Outside of the bustling building shed, EB’s three graving docks are currently filled with three submarines undergoing repairs. Beardsley, who has worked at EB for 14 years, remembers when the Jimmy Carter and the Virginia were there. “This is by far the busiest we’ve been since then,” he said. This entry was posted in US Submarines and tagged Electric Boat, Groton, SSN 784, SSN 786, Submarine, USS Illinois, USS North Dakota, Virginia Class on June 22, 2013 by jasonlockley. A £1.75 billion Spanish submarine project has run aground after officials realised that the vessel is more than 70 tonnes too heavy – because an engineer put a decimal point in the wrong place. A former Spanish official has described the mistake, which has led to fears that the submarine might not resurface if sent to sea, as ‘fatal’. The Isaac Peral, the first in a new class of diesel electric submarines, was almost complete when the problem was noticed. Spain will now pay US Navy contractor Electric Boat £9million over three years to assess the issue and carry out the work required to correct it, according to the Spanish Defence Ministry. Rafael Bardaji, former director of the Office of Strategic Assessment at Spain’s Defense Ministry said that officials will review options suggested by Electric Boat. But he said the preference has been to extend the length of the submarine’s hull, perhaps by 5 to 6 meters, to increase buoyancy. Otherwise, the weight of the 2,200 tonne submarine would have to be reduced, and he said the Spanish Navy would not want to compromise features such as the combat system or an air-independent propulsion system. Electric Boat, the primary contractor for the U.S. Navy’s fleet of nuclear submarines, accepted the contract through a foreign military sales agreement between the American Navy and the Spanish Defense Ministry, the U.S. Naval Sea Systems Command announced this week. Electric Boat, a division of General Dynamic Corp., has helped other countries with their submarine programs. 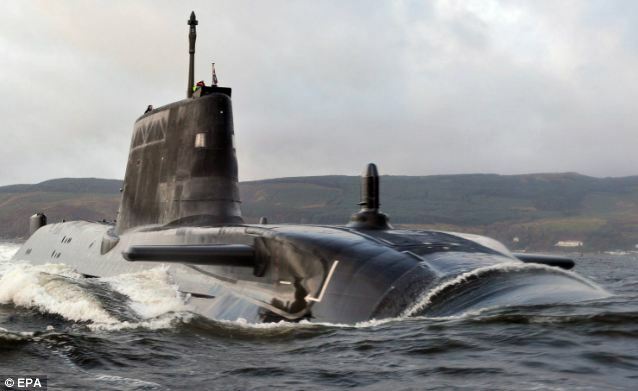 It began assisting with development of the Astute-class nuclear attack submarine for the British Royal Navy in 2003, and it is working under another foreign military sales agreement on Australia’s Collins class of submarines. The 233ft long submarine will carry a crew of 32, along with eight special forces troops, and weapons systems for surface and anti-submarine warfare. The Defense Ministry said technical problems are normal for projects of this scale. It said in a statement: ‘The technology challenges that these programs face during development are much more than simple calculations. The Isaac Peral, named after a 19th century Spanish submarine designer, is one of four vessels in the class that are in various stages of construction. The country has invested about £1.75 billion in the program. The first vessel was scheduled to be delivered in 2015 but the Spanish state-owned shipbuilder, Navantia, has said the weight problems could cause delays of up to two years. This entry was posted in The world's submarines and tagged Electric Boat, Isaac Peral, Navantia, Spain, SSK, Submarine on June 8, 2013 by jasonlockley. Groton — The first of the Spanish Navy’s four new submarines is too heavy and Electric Boat has been asked to help. The U.S. Navy hired Electric Boat as the contractor for a foreign military sales agreement with the Spanish Ministry of Defence, in support of the Spanish Navy, according to a statement the U.S. Naval Sea Systems Command issued Monday. The agreement is worth up to $14 million, an official at the Embassy of Spain who is familiar with the contract said. EB will provide technical assistance and review the S-80 Submarine project for almost three years, the official added. The S-80 Submarine is Spain’s first submarine design. According to Spanish press reports, the S-81 Isaac Peral, the first member of the class, is at least 75 tons overweight. The diesel-electric submarine weighs 2,400 tons submerged and the excess weight could prevent it from surfacing after it dives. 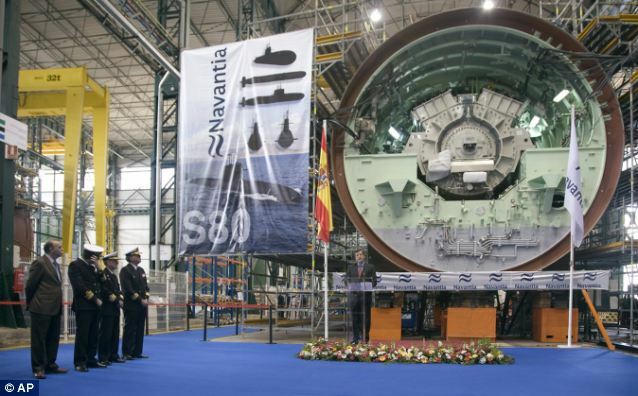 Navantia, a Spanish state-owned company, is building the S-80 submarine fleet. Each submarine will have a crew of 32 and eight special forces. The Isaac Peral was scheduled to be delivered in 2015 at a cost of about $700 million, but it is estimated that correcting the weight and balance issues could take up to two years. When asked whether EB would help with the weight problem specifically, the Embassy official said, “We hope.” He did not know how many EB employees would be involved. EB referred questions to the U.S. Navy. In 2003, the British Ministry of Defence solicited EB’s help for its Astute submarine program through a foreign military sales agreement with the United States. With a substantial gap between the design and construction of the Vanguard class and the start of the Astute program, submarine design and construction skills had atrophied in the United Kingdom, according to the RAND Corp., and about 100 experienced EB designers and managers worked with BAE Systems on the design effort. This entry was posted in The world's submarines and tagged Electric Boat, Groton, Isaac Peral, S-80, Spain, Submarine on June 4, 2013 by jasonlockley. One of Spain’s largest defense splurges may also be one of its most embarrassing. After spending nearly one-third of a $3 billion budget to build four of the world’s most advanced submarines, the project’s engineers have run into a problem: the submarines are so heavy that they would sink to the bottom of the ocean. Miscalculations by engineers at Navantia, the construction company contracted to built the S-80 submarine fleet, have produced submarines that are each as much as 100 tonnes (110 US tonnes) too heavy. The excess weight sounds paltry compared to the 2,000-plus tonnes (2,205 US tonnes) that each submarine weighs, but it’s more than enough to send the submarines straight to the ocean’s floor. Given the mistake, Spain is going to have to choose between two costly fixes: slimming the submarines down, or elongating them to compensate for the extra fat. All signs point to the latter, which will be anything but a breeze—adding length will still require redesigning the entire vessel. And more money on top of the $680 million already spent. Spain’s defense ministry, the government arm responsible for overseeing the project, has yet to say how much the setback will cost in both time and money. But Navantia has already estimated that its mistake will set the project back at least one or, more likely, two years. And the Spanish edition of European news site The Local reported that each additional meter added to the S-80s, already 71 meters in length, will cost over $9 million. It’s a costly mistake on many fronts. 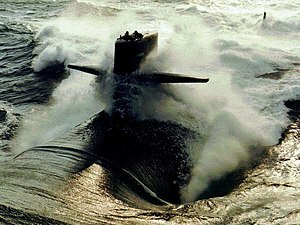 The state-of-the-art submarines were meant to be the first entirely Spanish-designed and built. Incompetence is likely going to cost the country at least some of the glory. Electric Boat, a subsidiary of US-based technology firm General Dynamics, has already evaluated the project and could be hired as a consultant to save the job. Another bailout for Spain. This is getting all too familiar. This entry was posted in The world's submarines and tagged Electric Boat, General Dynamics, Navartia, S-80, Spain, Submarine on May 22, 2013 by jasonlockley. The U.S. Navy’s newest attack submarine “Minnesota” successfully completes first sea trials Monday. Huntington Ingalls Industries announced the newest Virginia-class submarine, Minnesota (SSN 783), successfully completed alpha sea trials Monday. Alpha trials are the boat’s first round of at-sea tests and evaluations. Minnesota is being built at HII’s Newport News Shipbuilding division, the Globe Newswire reported. All systems, components and compartments were tested during the trials. The submarine submerged for the first time and operated at high speeds on the surface and under water. The Minnesota will undergo two more rounds of sea trials, including one with the Navy’s Board of Inspection and Survey, before delivery later this month. Minnesota is anticipated to deliver approximately 11 months ahead of its contracted delivery date. “This submarine is the result of a lot of hard work by the shipbuilders here at Newport News, our teammates at Electric Boat, and the overall Navy organizational structure, including NAVSEA, SUPSHIP and ship’s force personnel,” said Jim Hughes, NNS’ vice president of submarines and fleet support, in a news release. “It is incredibly gratifying for all of us to see this magnificent vessel operate so well during her first at-sea period. Minnesota, named to honor the state’s residents and their continued support of the U.S. military, is the last of the block II Virginia-class submarines and is in the final stages of construction and testing at Newport News Shipbuilding division. Construction began in February 2008, and the keel was authenticated in May 2011. The boat was christened Oct. 27, 2012. Minnesota is the 10th ship of the Virginia class of nuclear-powered fast-attack submarines. It’s the third ship to bear the state name, the Associated Press reported. The first USS Minnesota was a sailing steam frigate commissioned in 1857 that served during the Civil War. The second Minnesota was commissioned in 1907. The 7,800-ton Minnesota will have a crew of about 134 officers and enlisted personnel. Huntington Ingalls Industries (HII) designs, builds and maintains nuclear and non-nuclear ships for the U.S. Navy and Coast Guard and provides after-market services for military ships around the globe. For more than a century, HII has built more ships in more ship classes than any other U.S. naval shipbuilder at its Newport News Shipbuilding and Ingalls Shipbuilding divisions employing about 37,000 in Virginia, Mississippi, Louisiana and California. This entry was posted in US Submarines, Video Clip and tagged Electric Boat, Huntington Ingalls Industries, USS Minnesota, Video Clip, Virginia Class on May 7, 2013 by jasonlockley. ‘This is a very serious impasse that could really put a cloud over EB’s projected hiring,’ Congressman Joe Courtney says. But he adds that Congress still has time to fix the impasse. U.S. Rep. Joe Courtney said the federal cuts slated to go into effect under sequestration would affect shipyards across the country, including Electric Boat in Groton. Sequestration – or $1.2 trillion in cuts – are slated to go into effect March 1. Half the cuts would come from the defense industry. Electric Boat has two contracts with the Navy – one a $94 million contract to repair the USS Miami, the Groton-built nuclear submarine that caught fire at the Portsmouth Naval Shipyard May 23; and the second a $34.9 million contract to work on the USS Providence, which was scheduled to come into Groton later this year. Both could be suspended if sequestration occurs. “This is a very serious impasse that could really put a cloud over EB’s projected hiring,” Courney said, referring to the optimistic picture painted by the company during a legislative breakfast in January. “But Congress still has time to fix the impasse and allow the great work that people do there to go forward. The leadership of the Navy, over and over again, repeated their desire to have this work move forward in Groton. But their hands are tired until Congress and the White House come to an agreement,” he said. According to the Electric Boat website, repairs to the USS Miami would involve 300 EB employees. Electric Boat has declined comment on the potential impacts. “The Department of Defense has not informed us how it intends to implement sequestration, if it occurs. Consequently, any response on our part would be speculative,” Spokesman Dan Barrett said in an e-mail. Courtney said that in addition to the repair contracts that could be placed on hold, Congress last year got a defense bill through that provided funding for a second submarine to be built in 2014. But he said Congress does not have a budget bill passed to go with that defense bill, The current spending bill ends March 27. Admiral Jonathan Greenert, who testified last week before the U.S. Senate and the House of Representatives, said that if the Navy did not get a spending bill to match the defense bill, the second submarine would be at risk. Electric Boat is meanwhile proceeding with the Ohio replacement program, which deals with a different class of submarines. As of Monday, the company was still hiring engineers and other positions. “There’s still time to stop the madness here, and that’s true,” Courtney said. “It’s not like the law takes away the money irrevocably in one day.” He said sequestration was designed to be completely unacceptable but cutting indiscriminately across all areas, thereby forcing a compromise. This entry was posted in US Submarines and tagged EB, Electric Boat, Groton, Joe Courtney, USS Miami, USS Providence on February 26, 2013 by jasonlockley. Service releases plan in face of looming, automatic budget cuts. If Congress doesn’t pass a budget this fiscal year, the Navy said it likely would not purchase a second Virginia-class submarine in 2014. The Navy released its latest plan to Congress on Tuesday for how it will be affected if the government keeps operating on a continuing resolution that funds spending at last year’s levels, and if Congress does not act before March 1 to prevent the automatic spending cuts known as sequestration. At that time, the Navy did not say the second submarine in 2014 was in jeopardy. A Navy spokeswoman said Tuesday’s update provides a higher level of detail. 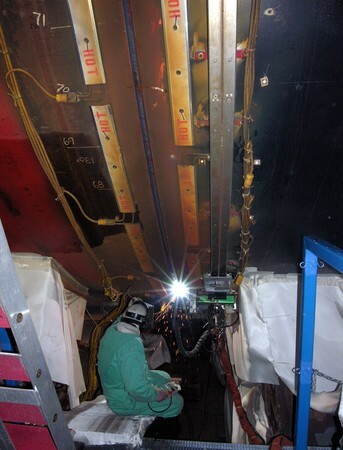 This entry was posted in US Submarines and tagged Congress, Electric Boat, Groton, SSN-719, USS Miami, USS Providence on February 20, 2013 by jasonlockley.